The world first discovered the sensational news that Wilhelm Röntgen’s mysterious X-rays could penetrate clothing and human skin, not through scientists but through the press. Wilhelm Conrad Röntgen was a physicist who had little time for publicity. Like all other scientists the professor from Würzburg University in Franconia always sought recognition from his peers, but Röntgen rarely appeared at scientific conferences or wrote papers, let alone promoted his research findings outside of his field. All this changed after Röntgen’s accidental discovery of X-rays sparked a media storm that meant his findings would have an impact like no other before it. On the evening of 8 November 1895, Röntgen was in his laboratory studying how cathode-ray tubes emit light. His attention was distracted by a glowing fluorescent screen that was too far from the tube to be affected by the cathode rays. Röntgen didn’t leave his lab for weeks as he tried to investigate the source of the glow. He discovered that the impact of cathode rays on the glass vacuum tube was generating a new kind of invisible ray. The rays had extraordinary penetrative power – they could travel long distances and make the screen glow, even when cardboard, wood, copper and aluminium were placed in the way – and could be recorded on photographic plates. The article was precise and reserved in tone, with no accompanying images, and so the chances are that most scientists would have ignored the findings. A trip to the post office in Würzburg on New Years’ Day in 1896 changed all that. In Röntgen’s hands were 90 envelopes, each containing a reprint of the article, which were addressed to physicists all over Europe. Twelve of the envelopes, addressed to friends or to distinguished scientists like Lord Kelvin, also contained nine photographs. Röntgen made several photos mainly of the interiors of metal objects, but it was another photo that led to a situation in which “all hell broke loose,” as Röntgen would later complain. Since X-rays could penetrate materials like metals and wood, it seemed natural to find out if they could penetrate flesh. What Röntgen discovered was a remarkable ability to see through flesh and make bones visible. As he described in his paper: “If the hand be held before the fluorescent screen, the shadow shows the bones darkly with only faint outlines of the surrounding tissues.” To illustrate this effect, Röntgen took an X-ray photograph of his wife’s hand, which produced an almost ghoulish image that clearly showed her bones and wedding ring. One of the recipients of these letters was Franz Exner, a former fellow student of Röntgen and at the time professor of experimental physics in Vienna. Exner was a convivial man, regularly inviting members of the faculty to informal dinners at his home. Röntgen’s letter containing the photos arrived just in time for Exner to show his guests at one such gathering that upcoming Saturday, 4 January. One guest, Ernst Lecher, professor of physics in Prague, was so interested in the photos he asked Exner if he could borrow them for one day. Lecher was staying with his father in Vienna over the Christmas holidays, and knew he would be very interested in the images. Lecher knew his father would be interested, not because he was a scientist, but because he was the editor of Vienna’s leading daily newspaper Die Presse. As soon as the elder Lecher saw the images he knew he had a scoop on his hands, and immediately changed the front-page story for the next day’s issue. There was no time to print the photos, so Lecher asked his son for a full account of the facts, and he worked during the night to create an article that would clearly describe the findings, without considerable exaggeration. Once the UK press picked up on the X-ray story the news spread around the world within a few days. The news had spread so quickly, in fact, that few publications realised that the Die Presse had misspelled Röntgen’s name, attributing the new findings to one “Professor Routgen”. Scientific and medical journals noticed the media coverage of X-rays, and began to report the findings too. On 11 January The Lancet published an almost dismissive comment about Röntgen’s findings, but one week later conceded that “the new discovery will produce quite a revolution in the present methods of examining the interior of the human body.” Two weeks later the journal printed X-ray photographs of a human hand and of the lower half of a frog. It did indeed. Gossip soon spread among strict and straight-laced elements of fin de siècle societies that X-rays could see through clothing and threaten privacy. “Through cloak and gown – and even stays, those naughty, naughty Roentgen (sic) rays”, wrote one doggerel. One opportunistic London company advertised “X-ray proof underclothing – especially for the sensitive woman” in the journal Electrical World, and is alleged to have made a small fortune. And in New York concerned citizens considered legislation against the use of X-rays in opera glasses. Away from such concerns, scientists rushed to replicate and refine Röntgen’s X-ray images. Scientists were free to create X-rays using cathode-ray tubes because Röntgen had deliberately not patented his discovery, convinced that his inventions and discoveries belonged to the world at large. X-rays were adopted worldwide at an extraordinary pace. In Montreal, Canada, a young man had been shot in the leg, but the bullet couldn’t be found for weeks, until John Cox, professor of physics at McGill University, used X-rays to reveal that the bullet was lodged between the tibia and fibula. When the British Army launched an expedition to the Nile in spring 1896, its equipment included two X-ray machines to help localize bullets and diagnose bone fractures. The reaction to Röntgen’s X-rays made him an instant celebrity. Many honours were bestowed upon him, streets were named after him, and Röntgen received countless honorary doctorates and Prizes, including the first Nobel Prize for Physics in 1901 for his discovery of the “remarkable rays”. By the end of 1896, more than 1,000 books and papers had been published on X-rays and its applications. But Röntgen himself had little to do with any of this. He published only two more papers on X-rays, and apart from one public lecture in Würzburg he declined all offers for further lectures. 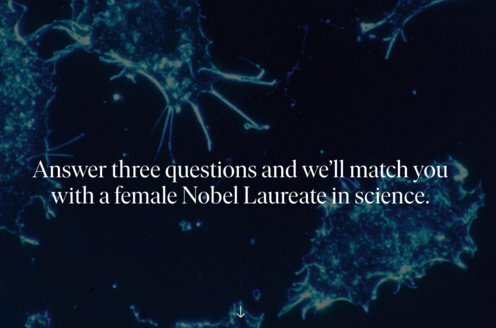 Röntgen didn’t even give a lecture after receiving his Nobel Prize. It was as if the exposure resulting from his findings forced Röntgen to make a greater vow of silence. In 1899, he accepted an offer from the University of Munich, and remained committed to progress in all fields of physics, but as his assistant Abraham Joffe reported, he preferred to work on less sensational areas of research. Fölsing, A. Wilhelm Conrad Röntgen. Aufbruch ins Innere der Materie. München, 1995. Lentle, B. & Aldrich, J. Radiological sciences, past and present. Lancet 350, 280–285 (1997). Mould, R.F. The early history of X-ray diagnosis with emphasis on the contributions of physics 1895–1915. Phys. Med. Biol. 40, 1741–1787 (1995). Posner, E. Reception of Röntgen’s discovery in Britain and U.S.A. British Medical Journal 4, 357–360 (1970).